12 overnights in 4 / 5 star accommodation as per itinerary (subject to availability) at the time of booking or similar. Includes 12 Breakfasts, 5 3xcourse dinners meals as per itinerary (B= breakfast, D= Dinners). 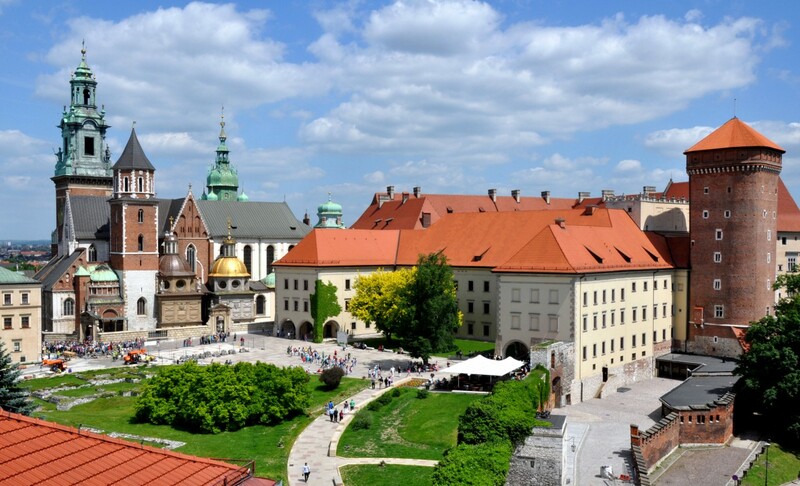 City tours of Warsaw, Bialystok, Lublin, Rzeszow and Krakow with licensed guides. Sightseeing of Wolf’s Lair, Swieta Lipka, Tykocin, Branicki Palace, Underground Lublin, Kozlowka palace, palace and distillery museum in Lancut, Zalipie, Bobowa, Lipnica Murowana, Church of the Virgin Mary, Wawel hill and Krakow Underground Museum. Boat trip on the Krutynia river. Half-day tour in Bialowieza National Park including forest museum and Bison Show Reserve. COST: From EUR 2025 onwards Per Person in double room or twin sharing basic in 4*/5* Hotel.